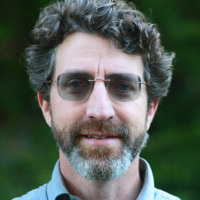 Home > Staff > John Gallo, Ph.D.
John Gallo is a geographer and landscape ecologist performing “action research” in conservation assessment, planning, and implementation. Action research applies best practices and explores scientific frontiers while performing applied conservation projects. It also puts the needs of clients, stakeholders, and decision-makers over those of research if they come into budgetary or methodological conflicts. Combining results from many focal species and structural connectivity analyses to make a single “master map” and web tool for connectivity conservation in a region. An analysis and report that illustrates all this is here. A second emphasis is on Landscape Conservation Design, a recent re-framing of conservation planning with increased emphasis on engaging stakeholders and end users in the iterative steps of convening, assessment, spatial design, and strategy design (iCASS). He is looking especially at how to best link this with strategy implementation and monitoring; and to better include citizen science. Current projects include components of this in Santa Barbara, Fort Bragg, and Sonoma County, CA, and development of a customizable decision support system to support the process (see Projects, below). John has worked as an action researcher for 20 years with three non-profit organizations, and as a post-doctoral researcher in South Africa. He received a Ph.D. in Geography at University of California Santa Barbara (UCSB), with several fellowships and an award for exceptional “promise in Geographic Information Science.” He received, with top honors, his B.A. in Environmental Studies and his B.S. in Ecology and Evolution at UCSB.